If you were playing with toy cars back in 1984, you’ll probably remember the release of the RC10. Heck, you might have even bought one (and hopefully you hung on to it!). 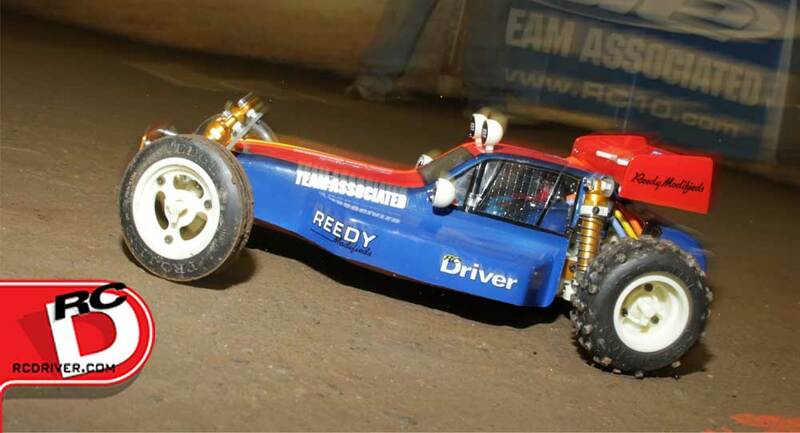 If you weren’t around, I’ll have you know that it was the first 1/10 scale 2WD buggy from Team Associated that was dominating 1/8 and 1/12 scale racing in the US. 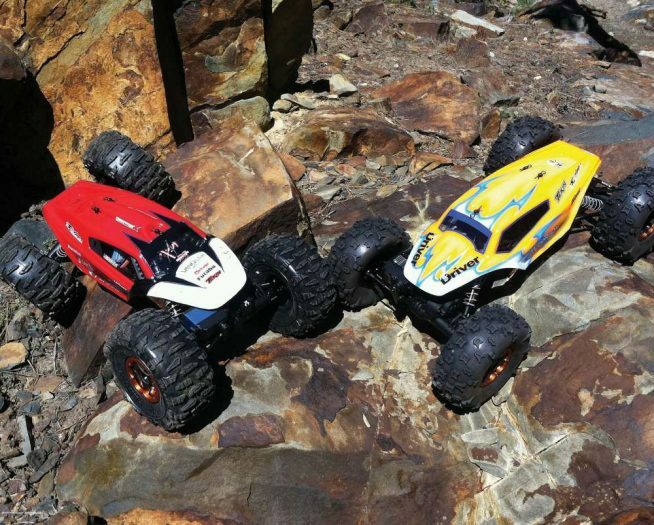 Based on a real 1:1 offroad buggy, six RC10s were completely handmade and given to two individuals, Jay Halsey and Gil Losi Jr., to go and compete at the ROAR Nationals in New Jersey. Their performance at that race was next level, and from that point on the RC10 was an icon. To celebrate the 30th anniversary of the RC10, Team Associated has released a faithful reproduction of the original car in limited numbers. 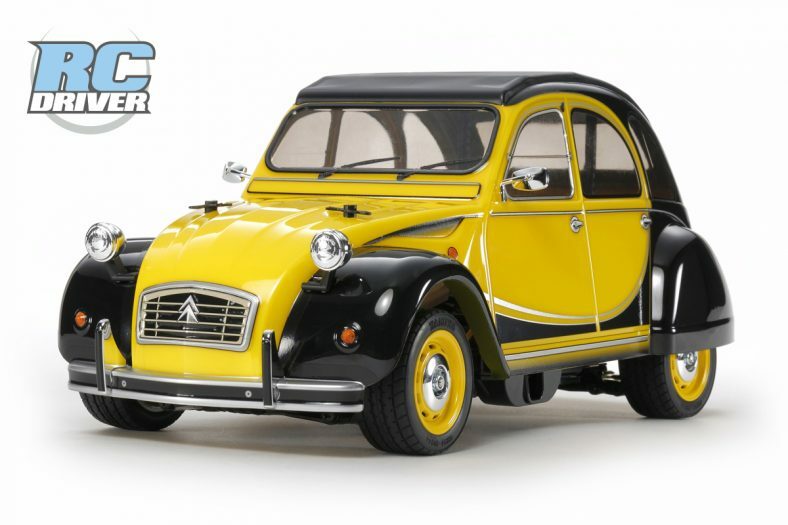 Join me in a vintage test drive in one of the most sought after cars in RC history. + The gold-anodized chassis is stunning and even comes with 2 sets of transmission mounting holes. + The six-gear transmission is back and it’s a beauty. + The RC10 Classic rolls on ribbed front tires and knobby rears. 3-piece wheels are also standard issue. + Modified to accept LiPo batteries. + I remember these shocks being much harder to build back in the day, but thankfully these went together easily and actually work quite well. + ProTech body and wired wing-mount bring back memories. 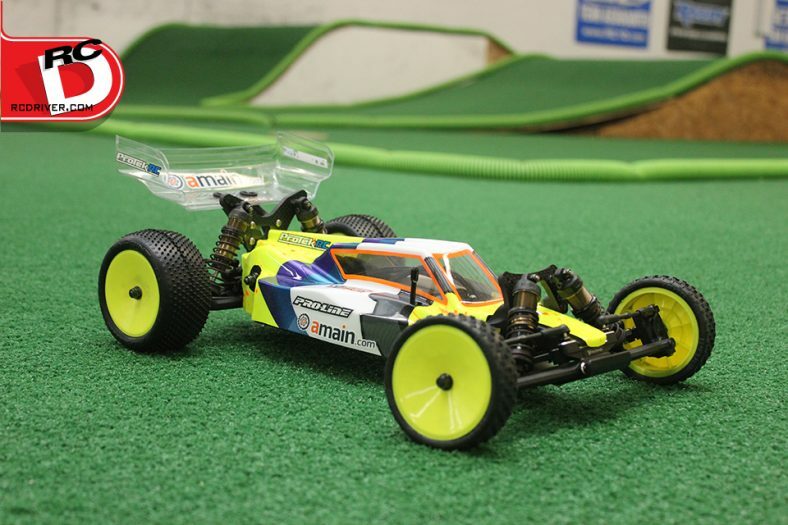 – It’s the re-release of a historical artifact that changed the RC industry. How can there be anything wrong with it? While working at Team Associated for numerous years I had the opportunity to see and touch quite a few of the original RC10s but never had the privilege of driving one. From the gold tub to the knock-off wheel spinners, this kit is a collector’s dream and if you can still get your hands on one, I would highly suggest it. Sure it’s not an original, but it will be in another 30 years. I’m going to be looking into another to build a shelf queen since this little guy is going to be entered in some vintage races! • Opening the box and seeing the bags of white parts, big knobby tires and gold-anodized bits is equivalent to getting your first puppy. There’s excitement, a few giggles and a whole lot of love. If you’re a collector or owned an original RC10 and were lucky enough to get one of these, you’ll know exactly what I mean. • When originally announced, owners were a bit bummed knowing that their original RC10s could possibly lose their value. This was thought about and every part on the RC10 Classic was slightly modified. A great move on AE’s part. • The RC10 Classic includes the original six-gear transmission. Even for today, this is really unique design. 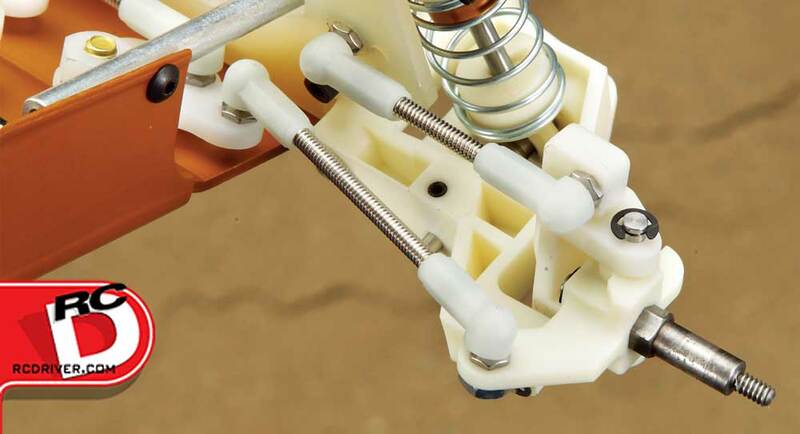 Each wheel is independently powered right from the topshaft; there is not internal differential. Instead, a ball ‘slipper’ is mounted on the topshaft where the slipper clutch on today’s cars is located. • One thing you might say is a bummer is the omission of any bearings. 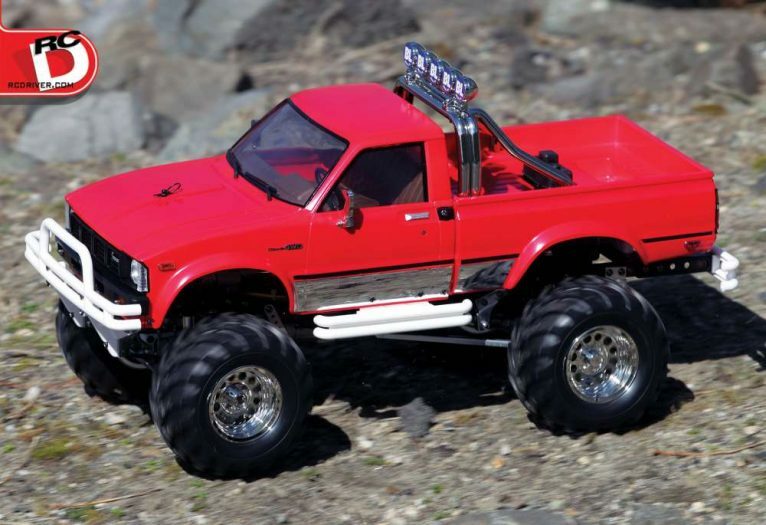 Yes, you read that right, the RC10 Classis is full Oilite equipped. • The RC10 Classic accepts almost all of today’s electronics. AE knew that most people probably wouldn’t go full ‘Classic’ by using NiMh batteries, so they modified the rear bulkhead to accept LiPo packs. The Reedy pack I used was a bit snug but did fit without issue. Even the torquey DS131 XP servo fit like a glove. 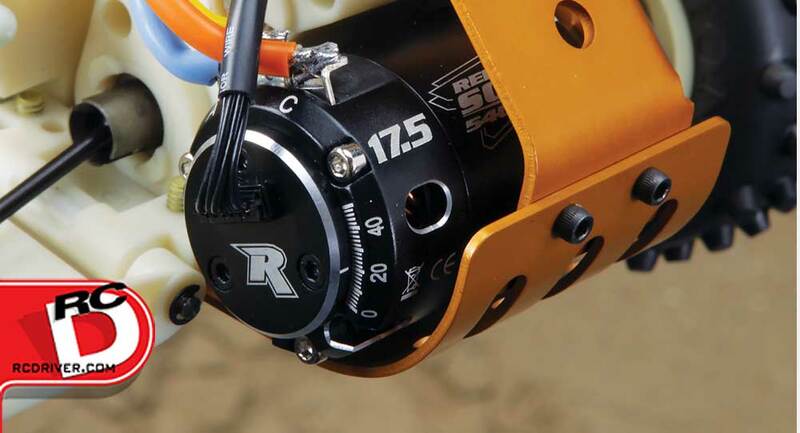 • The original servo-saver steering setup is standard issue in the RC10 Classic. Even the plastic appears to be the same as that in the original. • The wheels and tires are awesome looking! Proline was contracted to mold up the ribbed fronts and knobby rears. These tires are a bit harder than today’s compounds, so much so that they don’t require an insert. Even the multi-piece wheels look great. For this classic build, I went with premium power in the form of LRP’s Flow WorksTeam Brushless ESC. I typically run LRP equipment in all of my Team Associated vehicles simply because I know I’m getting a smooth operator and, since the RC10 Classic will not be driven like a full-blown racer, I wanted to keep the drama to a minimum. 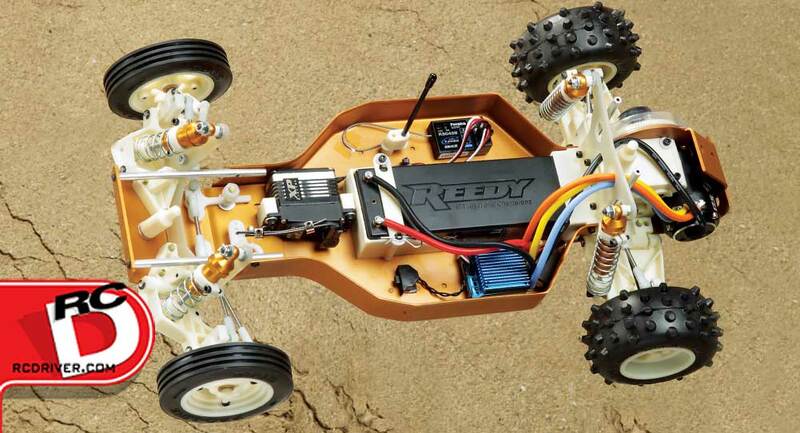 Reedy motors have been powering RC10s for a bazillion years, so it was only appropriate to keep that trend going. Even though I chose to use one of Reedy’s Sonic 540 17.5T Brushless Motors, this motor put out enough power to seriously churn up some dirt. I don’t think a Classic RC10 has ever seen this much power for a Spec motor! I’ve used Futaba radios for quite some time and have to say that even though the 4PLS isn’t their flagship transmitter, it is one amazing system. It’s lightweight, feels good in your hands and has a useable UI that is easy to navigate. On top of that, it’s loaded with a ton of features, including a slick telemetry system! While I won’t be using the latter feature on the RC10 Classic, I will be on a future build. Since it’s a vintage re-release I wouldn’t really want to hop it up. But, should you be entering the Classic into a vintage class, here are a few things you might look at upgrading. • Factory Team Turnbuckles – Threaded rod might have been the hot ticket back in the day, but now it’s just annoying. 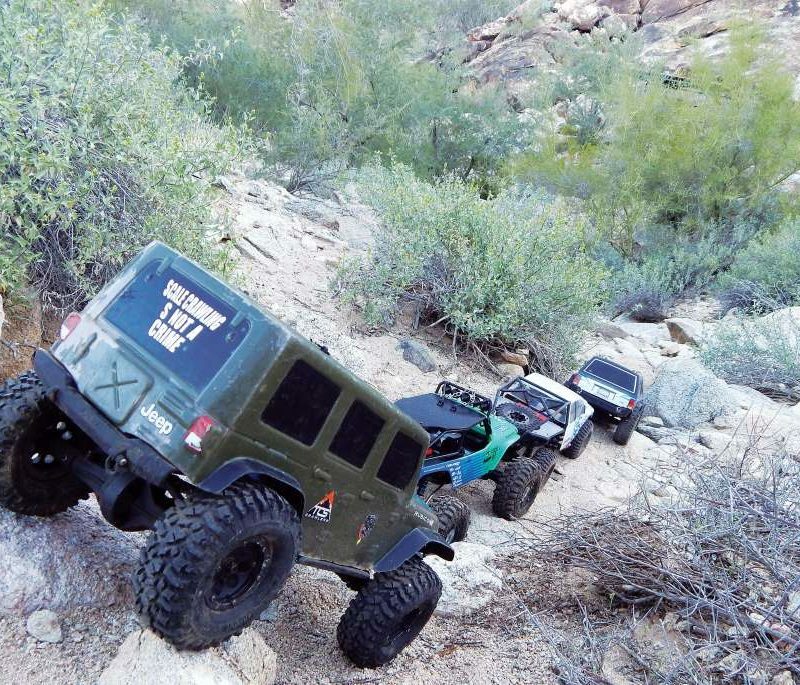 First and foremost, swap out those threaded rods for some lightweight Factory Team turnbuckles. • Factory Team Hard Anodized Shocks – Sure you’ll be losing the cool Classic-gold bodies, but upgrading to the hard-anodized shocks will offer a smoother ride and potentially longer spans between rebuilds. • Bearings – The RC10 Classic rolls on Oilite bushings. These will be good for a show stopper or light use, but if you’re going to go racing, bearings are a must. Initially I wanted to do this review as if it was a new car; run it through the paces and score it appropriately. But then I thought, how can I do that? Typically that type of review is setup so you, the reader, can compare this car to a similar car and use that info towards your next purchase. So, I decided that I would just take it to the track and have some fun with it. Of course, the first thing that happens when you show up to the track is the group of people the RC10 attracts. Even if some of these people weren’t around back when the original was released, there is still a huge interest in seeing this car. As I let the battery charge, I did my once over pre-check of the screws and setup. Ride height was set to arms level in the front, bones level in the rear. Camber and front toe was adjusted as well as the external differential to allow minimal slip. 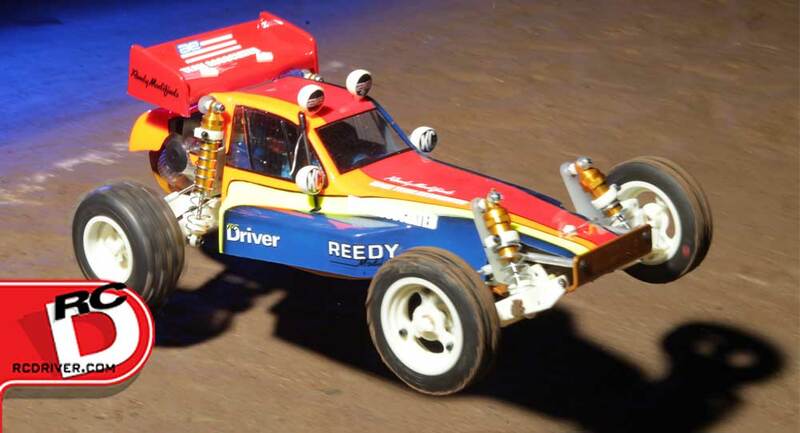 Once the pack was charged and installed, I topped the RC10 off with the ProTek body that was painted by the amazing Larry Genova (of Kustom RC Graphics) to resemble Jay Halsey’s IFMAR World Championship car…only with a slight 2013 edge to it. Knowing that the cars of today benefit greatly from super-soft tires and optimum suspension, I knew the first couple of laps would need to be slow and steady until I got used to the buggy. I was sure the harder tires combined with the less-than-optimum tread design would be a handful around the track, but they actually worked pretty good. The LRP/Reedy combo allowed such precise throttle control that I was able to cook off some good laps after the top charge on the battery was gone. The suspension seemed a bit soft and exhibited quite a bit of body roll, but still kept all 4 wheels planted on the ground. Even on the rough patches of track, the RC10 slid through with only a little bit of bounce. The 6-gear transmission felt strong, but the best part was the slight whine it made when it spooled up. Vintage as it may be, there is still this sense of greatness in the RC10 Classic. Those that have an original RC10 will enjoy building the Classic, setting them on the shelf next to each other. 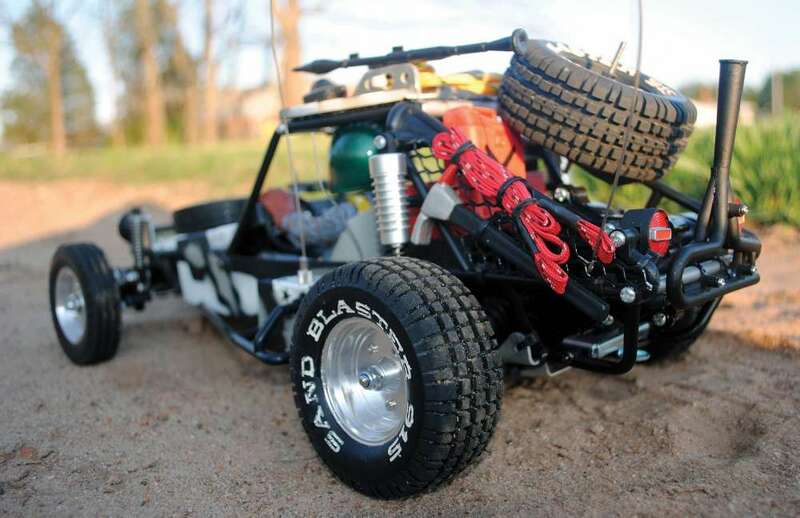 Those that are new in the RC world will enjoy building it, knowing that this is the car that started it all. Then there’s those that like to race…and will pit the Classic against other vintage cars. I’m going to go out on a short limb and say that AE will have no problems selling out of this car, making the re-release almost as collectible as the original. Get one and own a piece of RC history.